Rotary Club of Portsmouth North - Welcome! from Portsmouth North Rotary Club. 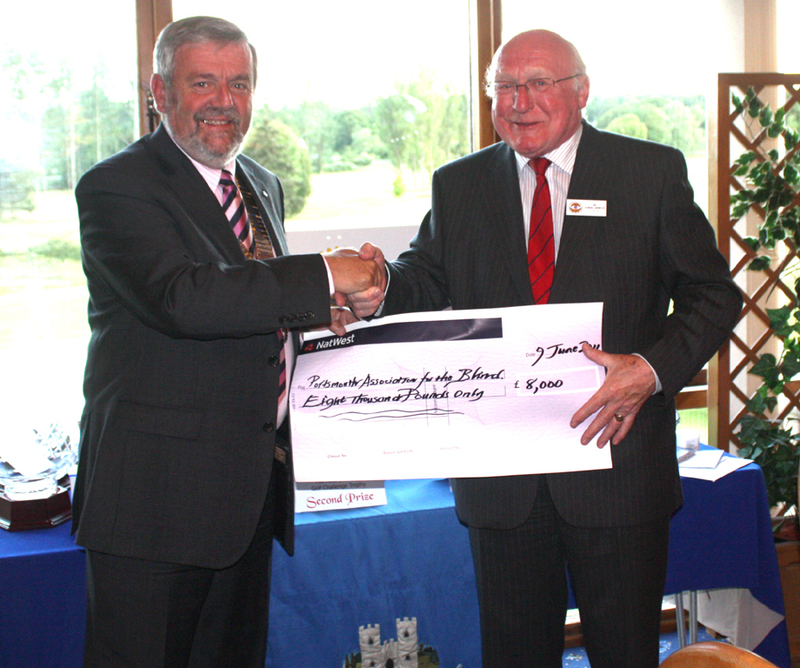 Rotary Club President David Middleton presented PAFTB Chairman Ian Howard - Harwood with a cheque for ï¿½8000 at the annual Rotary Charity Golf Day held at Rowlands Castle Golf Club. The donation will enable the association to purchase a replacement mini bus which will enhance the care and support for vision impaired people in Portsmouth. Located at 48 Stubbington Avenue, North End, Portsmouth Association for the Blind provides daily support for partially sighted and blind residents in the Portsmouth area. Chairman Ian Howard Harwood said "the generosity of the Rotary Club of Portsmouth North and in particular all the participants and supporters of the golf day is tremendous, for which we all at the Association are most grateful". Rotary Club President David Middleton said " we are delighted to been able to help such a worthwhile local charity. It is one of those charities which quietly goes about its business of providing much needed support to so very many people. Until you or a member of your immediate family need their support you just do not realise the good they do."